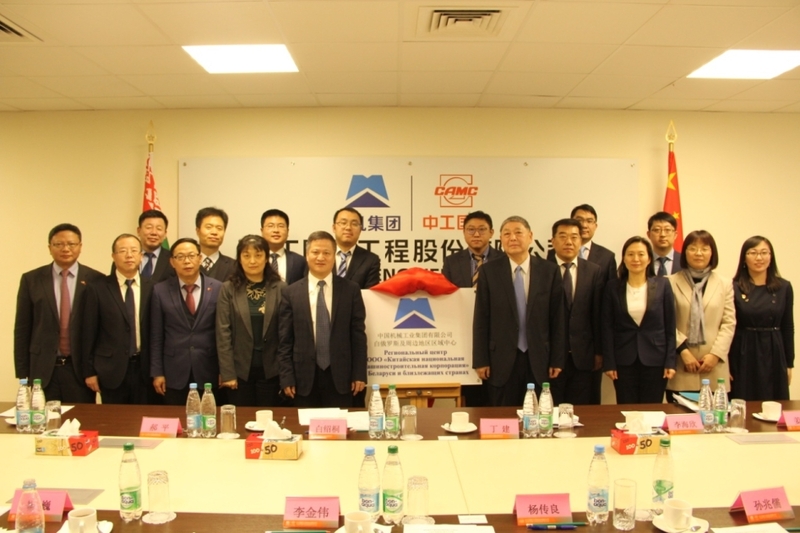 Vice President Bai Shaotong of SINOMACH visited Belarus from 4-8th, March 2019, accompanied by Vice Director Hao Ping of Strategic Investment and Director Jiang Yao of Overseas Development Management Office of Strategic Investment of SINOMACH and Party Secretary Ding Jian of CAMCE. 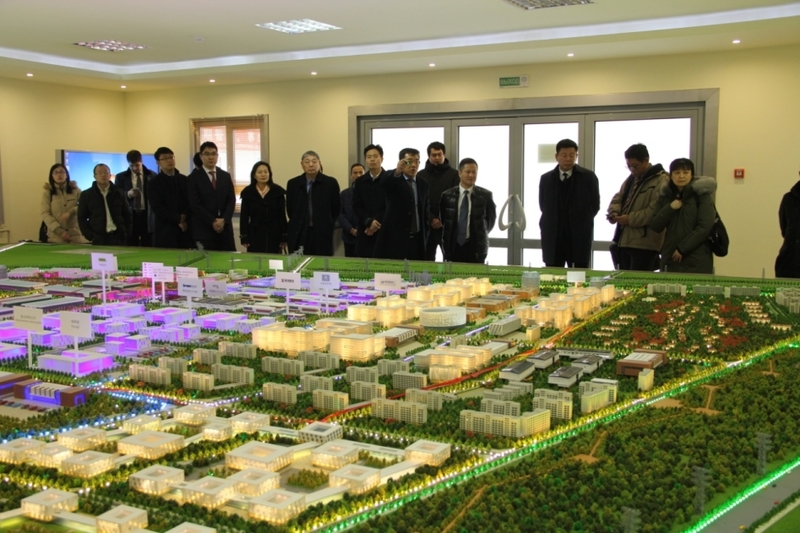 During the inspection on China-Belarus Industrial Park, Mr. Bai was debriefed by General Manager Li Haixin of China-Belarus Industrial Park Development Co., Ltd. on the Infrastructure Construction in the Starting Area of Phase One of the Park, China-Belarus Logistics Park of Commerce and Trade, 110kV transformer substation and visited the One-stop Service Center of Management Committee of the Park. Furthermore, he listened to the report on the service provision for enterprises in the Park made by Yaroshenko, Head of Management Committee of the Park. 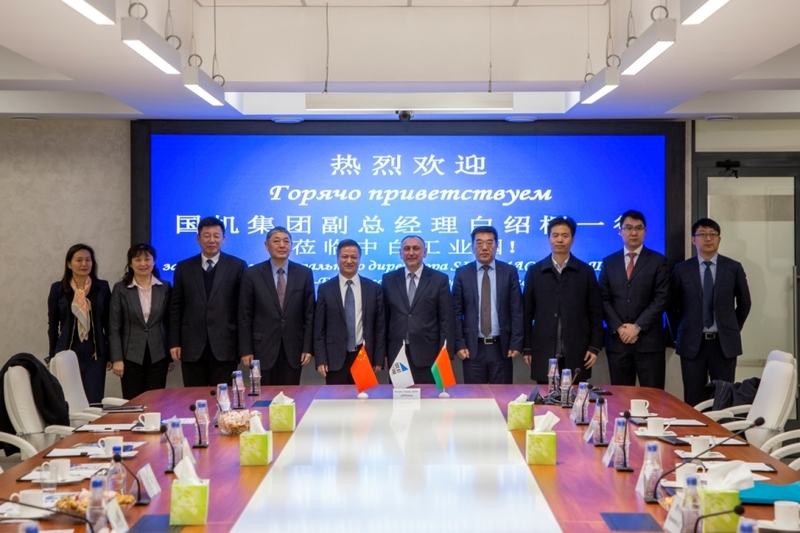 Besides, he attended the Party Building Working Conference held by SINOMAHC'S Party Working Committee stationed in Belarus and delivered a vivid Party Lecture to all the Party Members in Belarus. In addition, he listened to the progress report and attended the symposiums of other subsidiaries of SINOMACH in Belarus and its surrounding areas, and awarded the First Regional Center in implementing SINOMACH's overseas business strategy in Belarus and its surrounding areas, authorizing CAMCE, in the name of SINOMACH, to carry out international business in Belarus and its surrounding areas.